Initial coin offerings, or token sales, raised some $5.6 billion in 2017—more than 20 times the $240 million raised in such sales in 2016, says Fabric Ventures and TokenData. 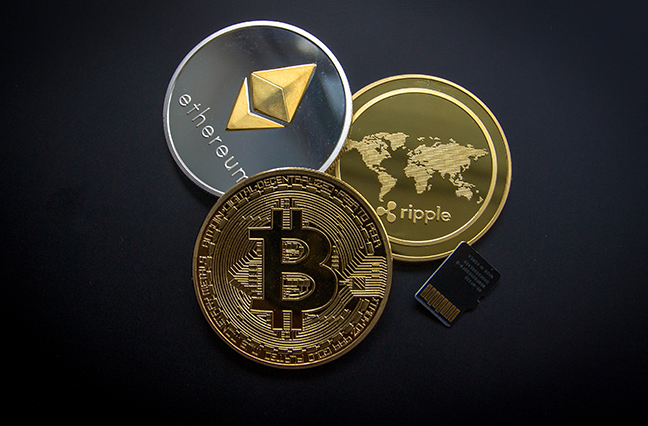 Unlike in an IPO, investors don’t buy shares of the company but, rather, purchase cryptocurrency “tokens” that provide access to the firm’s goods or services or its network of users. ICOs take a crowdfunding approach that stands in contrast to the more traditional process of convincing venture capitalists to fund a startup, developing the company through early stages and later going public or being bought by a larger, more established company. While the coin or token doesn’t represent a share of the company, investors may still be hoping for a profit as the company’s service gains traction and its tokens appreciate. “What a lot of buyers will do is that, as this product gets used more, the price of that token or currency will go up and they can keep it as an asset,” Bains says. That’s an aspect of ICOs that’s attracted attention from the U.S. Securities and Exchange Commission, which takes the view that, whether investors are buying a “utility” token or a share of stock, an instrument that offers the promise of future profit is a security. It was widely reported earlier this year that the SEC had issued subpoenas in connection with some ICOs. While ICOs enjoyed explosive growth last year, longer-term they may represent more of a niche rather than a broader market transformation. And they don’t likely herald a disruption of the venture capital industry. Venture capital firms don’t just write checks, Honig notes, but also nurture startups with critical expertise. “Many of the best entrepreneurs will welcome what VCs can bring to the table—fresh eyes, industry or operational experience, a network, and more—that makes VC money more than just money,” Honig says. ICOs, however, seem to be a natural fit with some blockchain-focused startups. For blockchain startups, it can be difficult to raise money from traditional venture capital firms, Bluzelle’s Bains says. While investors are always looking for the next big thing, caveat emptor remains the rule. For its part, the SEC acknowledges that, although ICOs can provide needed capital for startups, investors should proceed with caution because they offer substantially less protection than traditional securities markets, SEC Chairman Jay Clayton said in December.